Hampden-Sydney's Ferguson Career Center and a strong alumni network help the College rank highly for career preparation. Hampden-Sydney College has received national recognition in yet another prominent ranking of U.S. colleges, placing 10th in Wall Street Journal's list of "top schools for career preparation." The ranking was derived from a survey asking students how well their college prepares them for careers. The question, in this case, focused specifically on a college's effectiveness in helping students secure valuable internships. Students rated Hampden-Sydney 9.28 out of 10 in the survey conducted by the Journal and Times Higher Education. Hampden-Sydney also scored highly in additional survey questions evaluating student satisfaction with their choice of college and with the college's ability to provide an environment where students are surrounded by exceptional, motivational peers. This strong expression of student support is reflected in other annual college rankings, including the Princeton Review, which ranks Hampden-Sydney's alumni network as the ninth best in the nation. Stephanie Joynes, director of Hampden-Sydney's Ferguson Career Center, sees the strength of the school's alumni network as a key value-add for students exploring career options. "Hampden-Sydney College is well-known for having passionate alumni, and those relationships are invaluable to a student's career strategy," she says. "Having experienced professionals available to provide everything from industry trends to one-on-one mentoring offers the kind of support that only a smaller liberal arts school can provide." 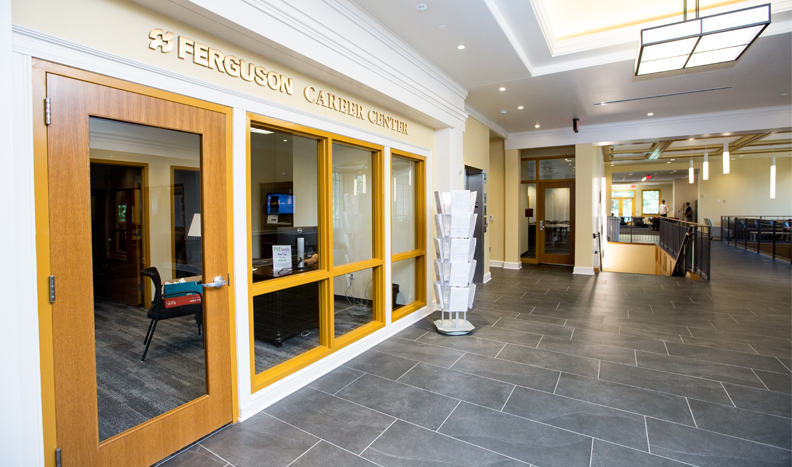 The Ferguson Career Center is a valuable resource for students, enabling them to be purposeful as they network, interview, and pursue internships and career opportunities. Among many other support functions, Mrs. Joynes and the Career Center staff are available to review students' resumes and coach them on improvements, in addition to offering interview training and even tips for salary negotiation. 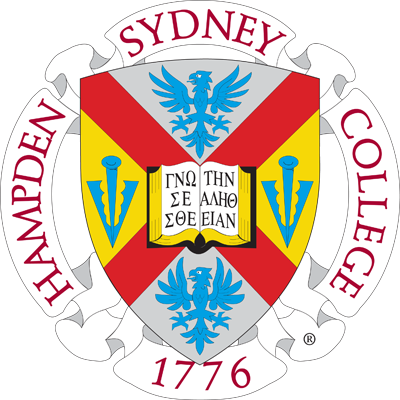 Hampden-Sydney College is well-known for having passionate alumni, and those relationships are invaluable to a student’s career strategy. Located in the Brown Student Center, the Career Center offers private interview rooms for students, as well as support for communicating through platforms like Skype and LinkedIn. Career Center staff help students adjust to and leverage ever-changing technological resources to network and explore internship opportunities. A professional photographer is regularly brought in to snap professional headshots for students' LinkedIn profiles-and those lacking a jacket are even able to borrow one of several blue blazers given to the Career Center by a supportive alumnus. Hampden-Sydney, which places just behind Dartmouth on the career preparation list, is the only Virginia institution in the top 10. 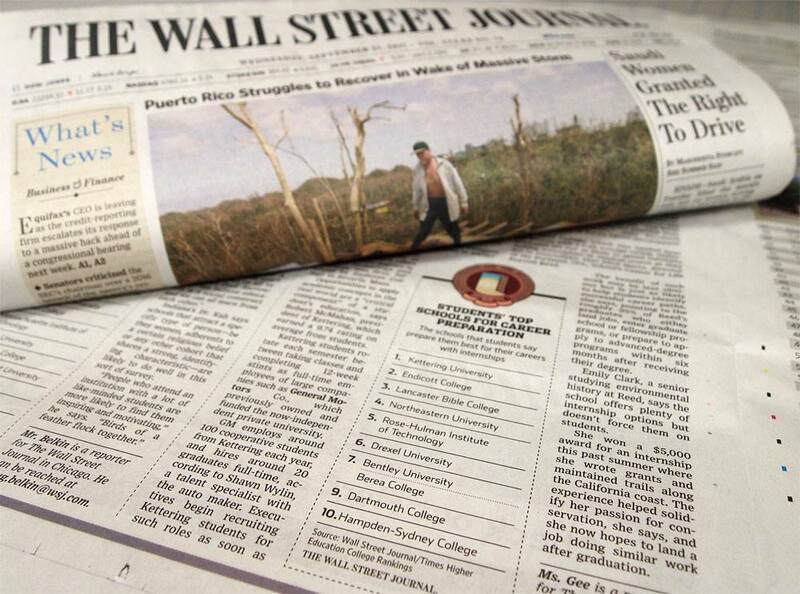 The full Wall Street Journal and Times Higher Education College Rankings list includes all four-year non-profit schools in the U.S. with a thousand or more students. It does not divide between public, or private, or liberal arts. Out of more than a thousand schools, H-SC placed in the top 30 percent. These rankings add to a growing list of accolades. Money magazine lists H-SC among the top 10 liberal arts colleges where graduates earn the most, and the College is ranked in the top 100 in U.S. News & World Report's rankings of national liberal arts colleges. In addition to the top 10 alumni network ranking, the Princeton Review rates the College's Walter M. Bortz III Library as the 12th best in the country.